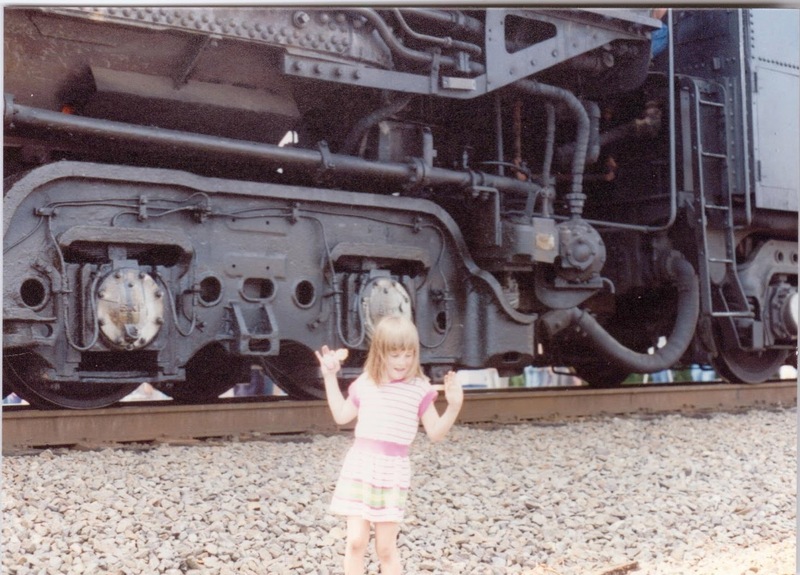 For the first eight years of my life, I grew up living very close to two different, and busy, sets of railroad tracks. Growing up this close to the sounds and sight of the iron road--as I can attest myself and have heard many, many other people verify--has a way of getting in your blood. Other people might consider an echoing whistle or the growl of a straining locomotive to be a nuisance, but to me those sounds are like the alarm clock tucked into a box to sooth an anxious puppy. Eventually I grew up and moved away, and the train fanatic inside of me went dormant until I entered college and enrolled in a history program. There I focused my studies on the history of science and technology, and had the opportunity to write several papers that explored railroad history more in depth. In the process of this research, I began to change my view of railroad history. It was not just something nostalgic that called back fond memories of childhood, but something with which I could draw a surprisingly high number of parallels to the technological change that have occurred in my own lifetime. We are, in the present day, accustomed to a world where one can pick up their phone and send a text to the opposite side of the world in an instant, where one can also get a package delivered across the same distance in a day if he has the cash to pay for it.Travel is easy and taken for granted. I think it’s almost literally impossible for people in the modern age to conceive of a world where the nothing moved faster than a pack animal could travel. It cannot be overstated how drastically the coming of the railroads changed the world, once the network was installed. One book in my library states that the travel time from London to Edinburgh was cut from two weeks to an astonishing six hours, after the railroads were installed. The idea that everything suddenly revved up in pace, that the world could transform from one technological paradigm within a few decades, resonates deeply with me. While the nature of personal travel has more or less remained the same during my lifetime, the way that information travels has turned completely on its head. At the time of my birth, information traveled slowly; now the Internet and wireless technology permeate every single aspects of our live. I think a time traveler, arriving from twenty-five years in the past, would be completely unable to believe that they hadn’t accidentally traveled to a different world. Almost every single aspect of my daily life has changed since the dawn of the Information Age, and each one of these changes has a corollary in the social upheavals that followed in the wake of the Industrial Revolution. The most obvious one is that the basic nature of communication has changed. When I was a child, I kept in touch with my friends and extended families by writing letters and carefully rationing out long distance phone calls. Now, I can barely remember the last time I did either of those things--what is the need, when it is much quicker and more convenient to send a text or an email? This shift to much more rapid communication has a parallel in the early railroad age. Telegraph lines almost always followed the construction of the tracks, and these lines were soon opened up for public communication. Compared to the earlier era, where news traveled no faster than a person could, telegraphy was an almost instantaneous form of discourse. The increased rapidity of the transfer of information has also had an effect on the way that things travel from place to place. Growing up, I watched my mother pour over physical catalogs that arrived in the newspaper or the mailbox to keep up to date on sales. Nowadays, physical catalogs are redundant. I can bring those same sales up on my laptop and compare prices at several stores, and then enter my address and have my purchase delivered right to my home. I am no longer limited to catalogs I have in hand and stores I can visit in person--with the Internet, the markets of the entire world are at my fingertips. Consumers during the Industrial Revolution had a similar experience. The construction of factories brought cheaper goods to the market, and the railroads shipped foods and products into local markets that would have been unavailable during the age of the horse and cart. In both eras, the world seemed to shrink, and markets appeared to expand. A change in the nature of production also means a change in the nature of work. Recently, I have been hired on to a new day job. The nature of the work will allow me carry most of it out from my home from behind my computer. I am not alone. In the last decade, thousands of workers have shifted out of the office, and into their homes or any other place with a good internet connection. The commencement of rail travel also shifted people out of one work setting, into another. The first rail lines gave individual workers much more agency in where they sought employment--people no longer had to limit their job searches to the radius they could walk. These rail-traveling employees created the first class of commuting workers, and encouraged the development of suburban areas. The railroads also pushed less-than-desirable industries such as farming and meat processing away from big cities and into more out-of-sight locations, just as we have now moved tech support and other industries into other countries. To put it bluntly, within a few decades of its invention, the railroads and other forms of mechanized technology had literally transformed the face of the Earth. The implementation of the Internet and the history of the railroads are the only other example in all of history I can think of, where a single form of technology changing the world so quickly and dramatically. It may take some time before we can look back at the beginning of the Information Age with clarity, but I wonder if, when that time comes, we will look back upon it with the same romanticism and fondness as we do the golden age of the railroads.